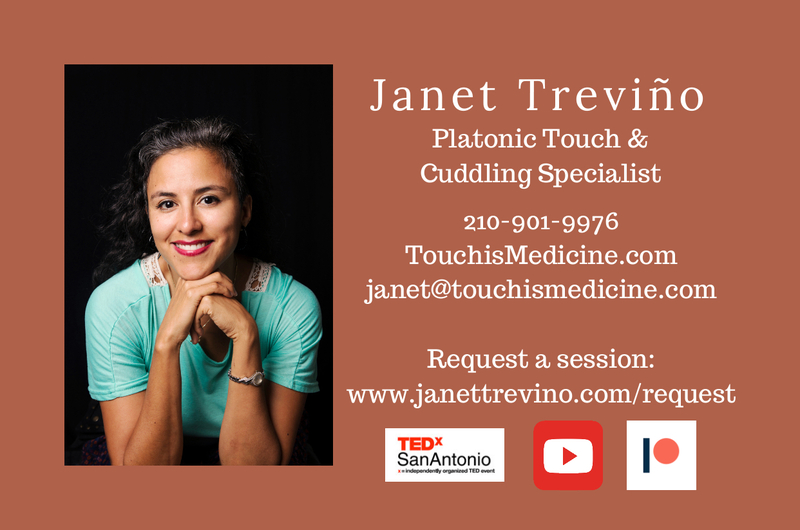 Want to cuddle with Janet Trevino? Janet will surprise you. She is full of heart and life, deeply caring about your experience! At the same time, she longs to slow down and be present with YOU! She looks forward to ensuring that you have an experience that results not only in you feeling an inner change, but others being impressed with how grounded and sure of yourself you’ve become! So often we’re running around frantic with FOMO (fear of missing out), constantly trying to connect to everyone and as a result, no one at all. 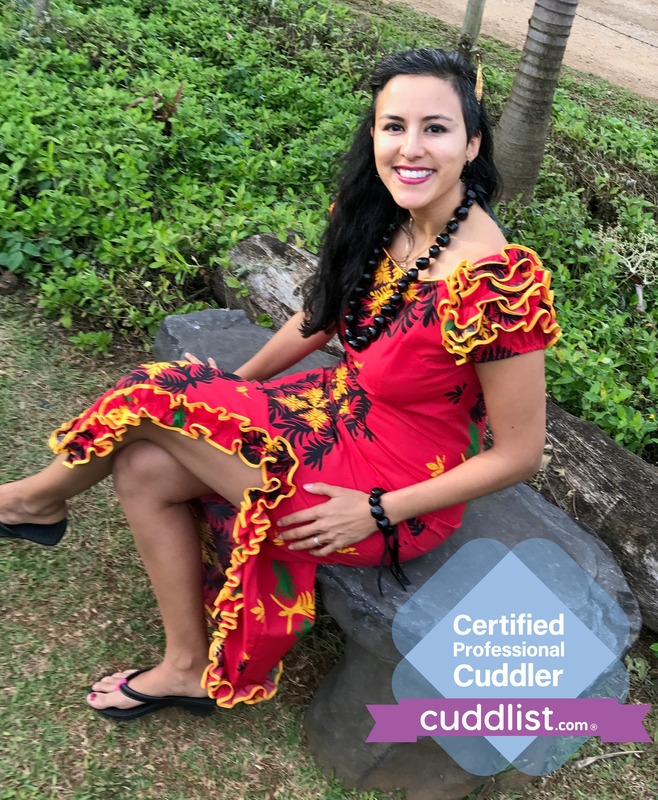 Cuddling has the magic of learning how to make authentic connections by practicing how to ask for what you want and slowing down enough to actually experience the pleasure of the moment! 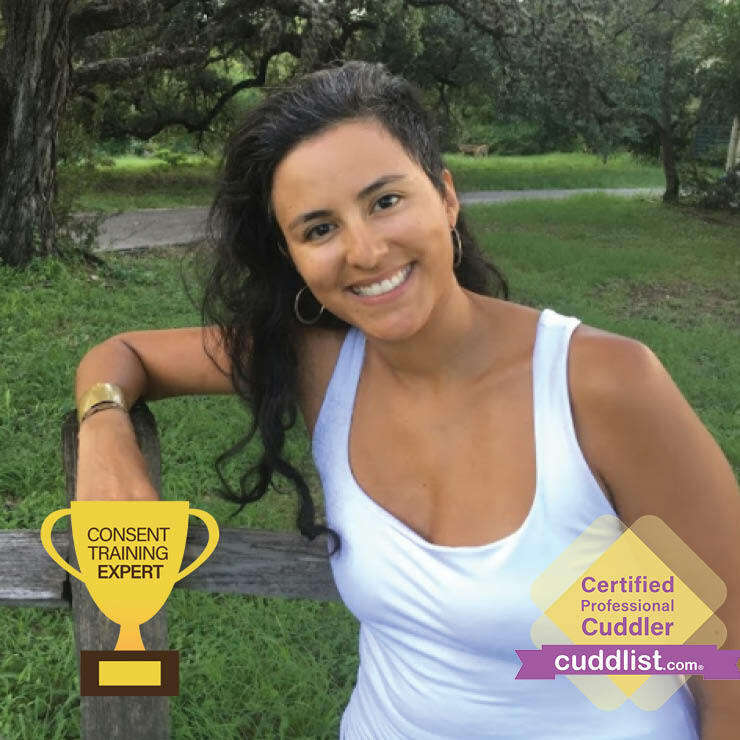 When Janet isn’t exploring her cozy side with an abundance of pillows laughing under warm covers, she’s creating brave spaces in San Antonio for facilitating difficult conversations which release the shame and fear we carry within us. You can learn more about her at her website. It’s also recommended that you view her YouTube videos for a better idea of who she is and what cuddling with her is like. If you’d appreciate a fuller request form for all the types of sessions she offers, this request form is very helpful. 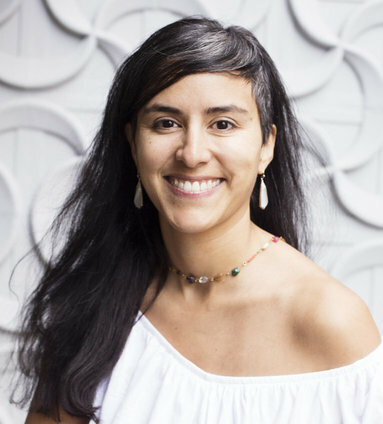 Collaboration: She also works with therapists for a more holistic approach to health & wellness. 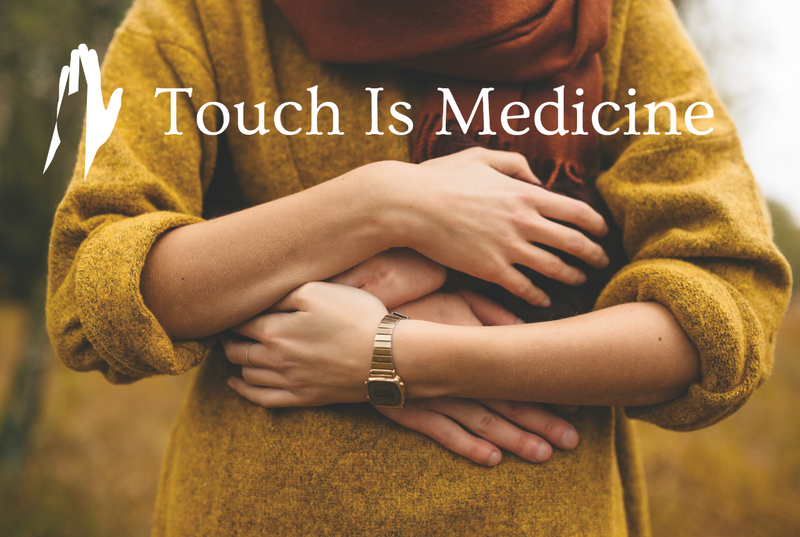 Ask your therapist how professional cuddling can support your growth and healing. If you’re needing referrals, she can assist you with that, too. Before entering into the world of cuddling, Janet birthed into the world 4 beautiful children after completing her B.A. and M.A. in Theology. 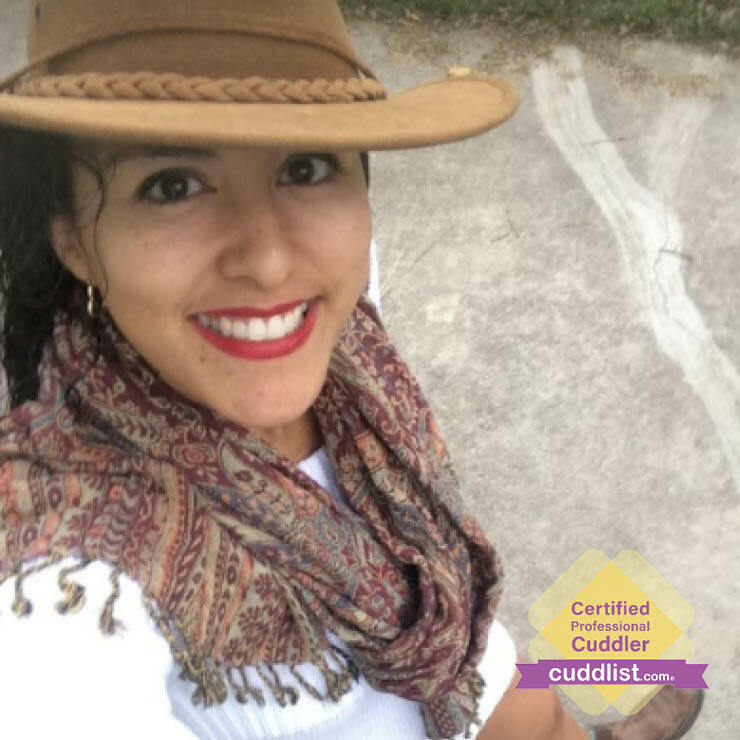 She’s been finding creative ways for the last 11 years: community organizing around healthy communication, physical health, and traditional nutrition, and now, has moved into work that supports the innermost part of who we are.. .adding spaces for one-on-one cuddling empowerment for those wanting an individualized experience. 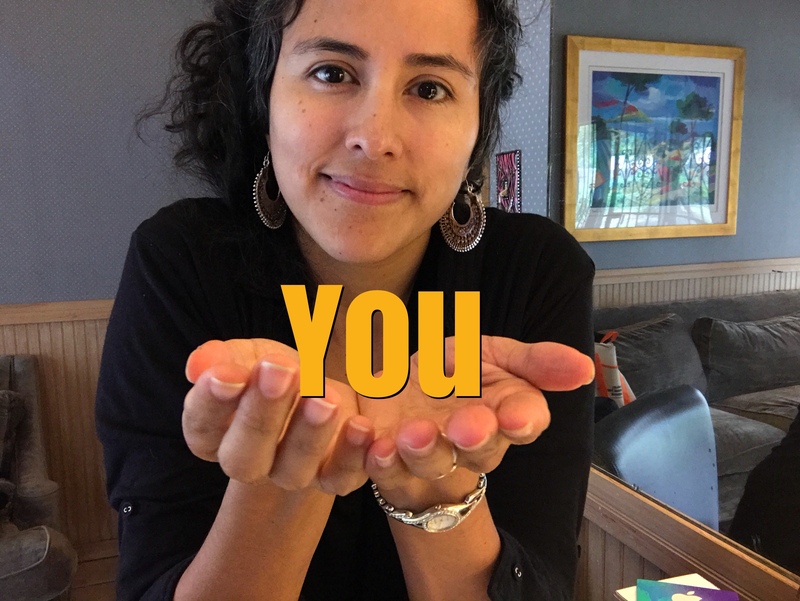 You can find Janet Trevino on Facebook, Twitter, Linkedin, and Instagram. Upon entering my space, you can expect the invitation to a warm embrace and a short conversation about our session. Learning to communicate from the moment you arrive is all a part of the whole cuddling experience! She invites you to park in the driveway to keep the street clear of vehicles. Please bring anything you think may be of comfort for you during our time together: special pillow, blanket, books/written word to read, movies/shows, audio recordings, etc. We craft not only how to cuddle but what we do while we hold each other. **If you have a physical disability and you’d prefer for Janet to come to you, please indicate that in your request form. She will waive all travel fees because her space is not accessible for wheelchair use. Here are some of the tools I use either openly or privately when I've listened and coached: The Work of Byron Katie Zen Osho Cards Emotional Freedom Technique Non-Violent Communication personality tests like Myers Briggs and others eye movement work chakra exploration breath awareness age regression work visualizations body pendulum vision/mission detailing writing exercises visual arts intention/goal setting with action steps and ultimately my intuition and facilitation tools. She's available 7 days a week, morning to evening... accommodating different work schedules.